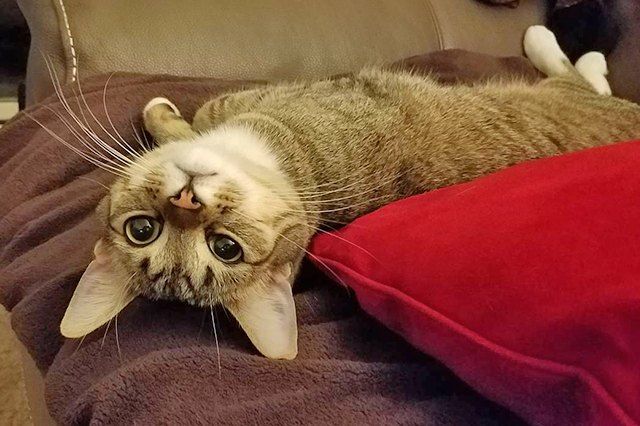 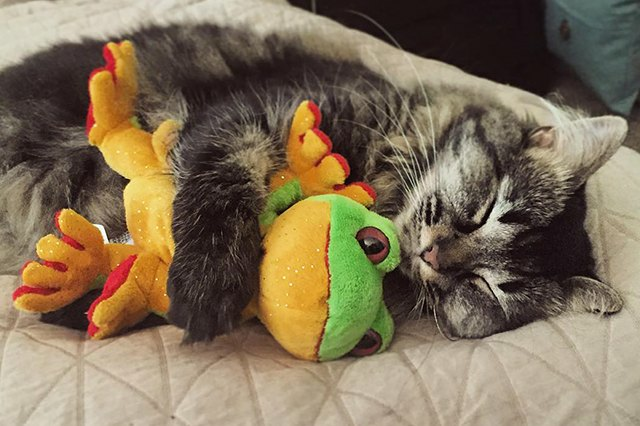 Can you even handle the cuteness here? 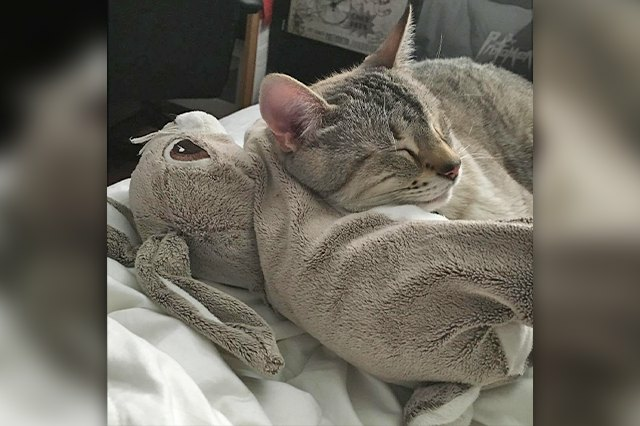 CAN YOU REALLY??? 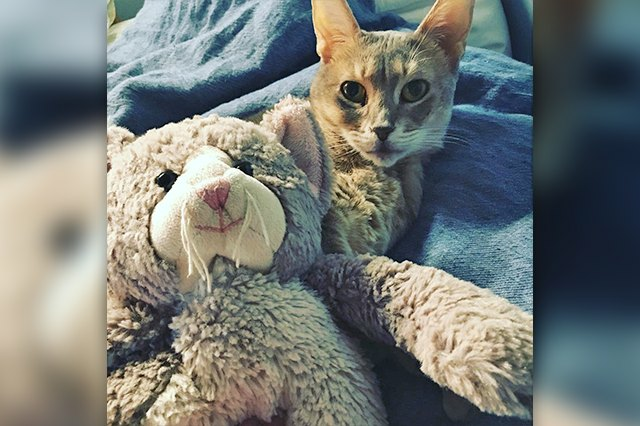 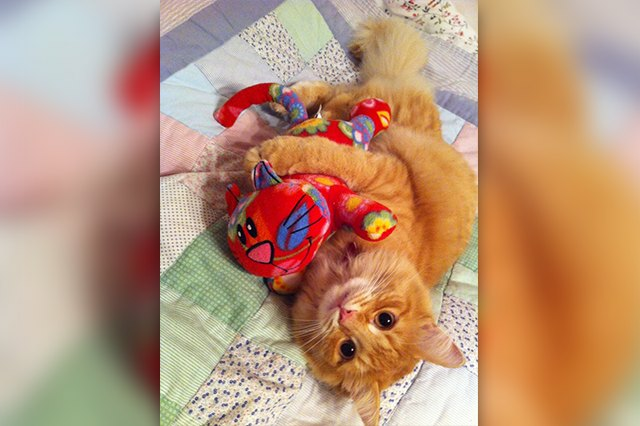 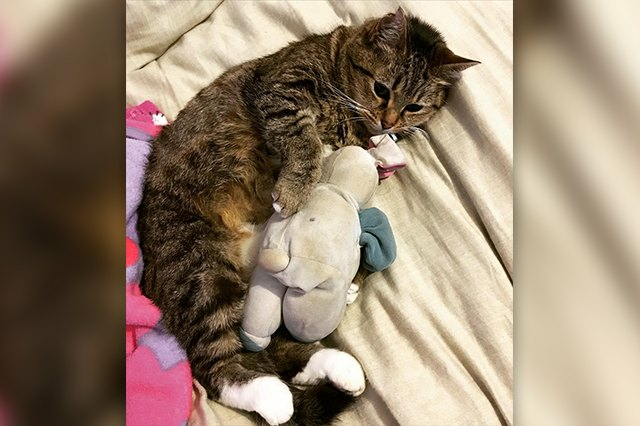 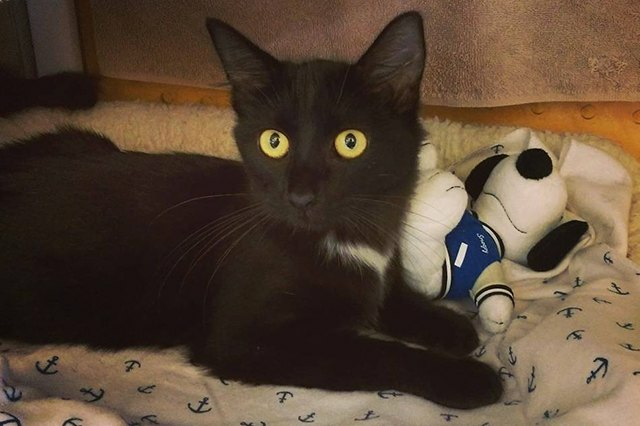 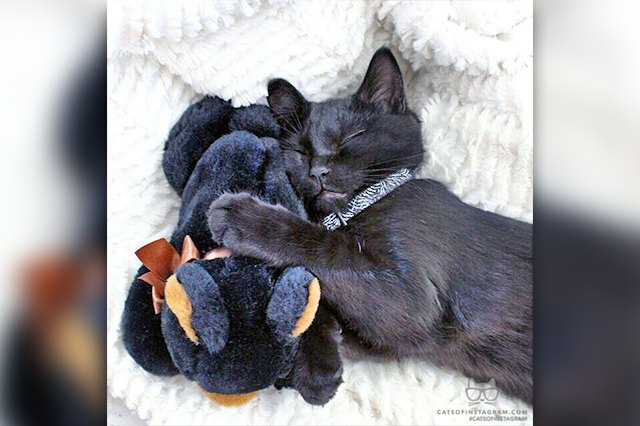 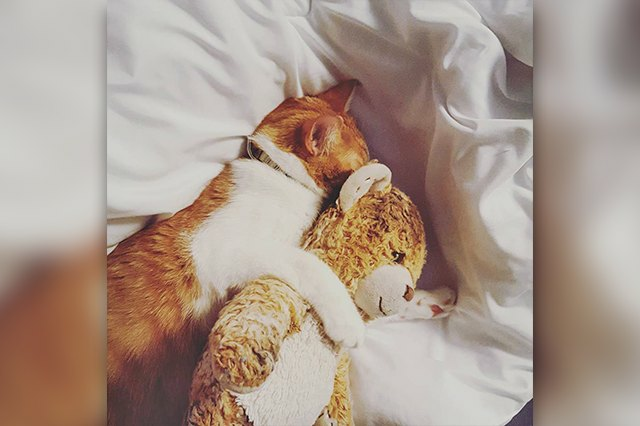 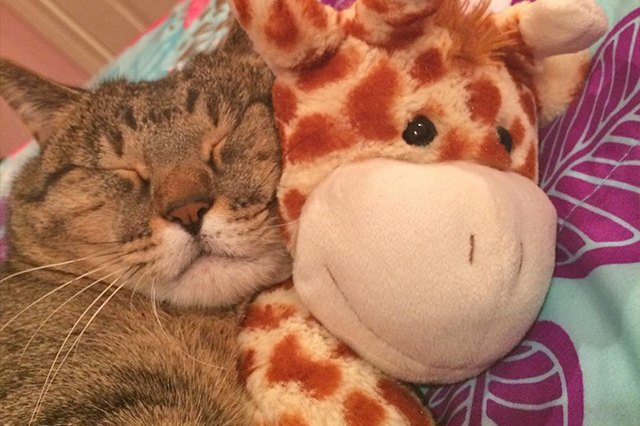 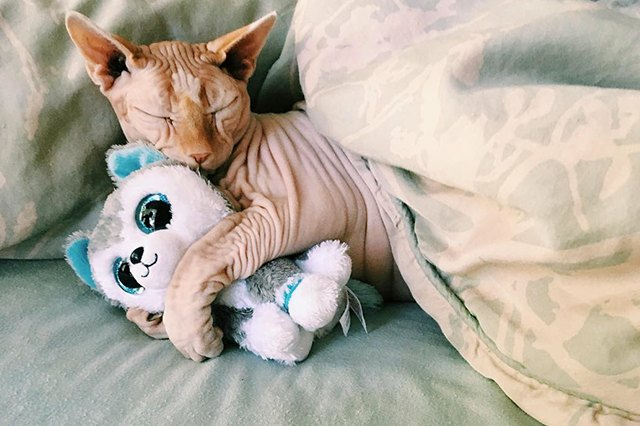 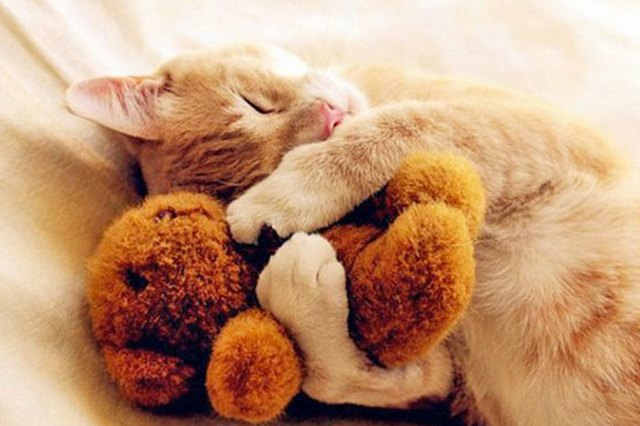 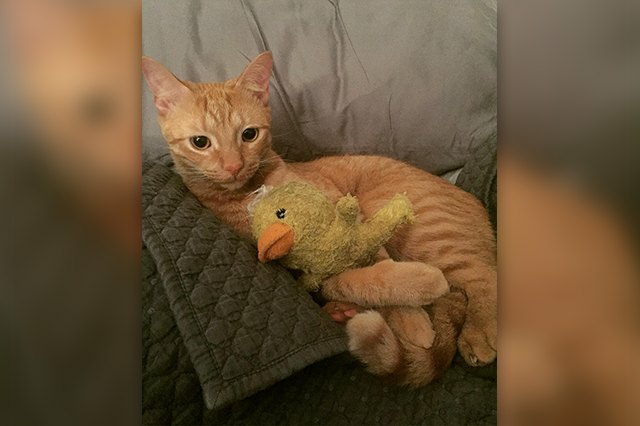 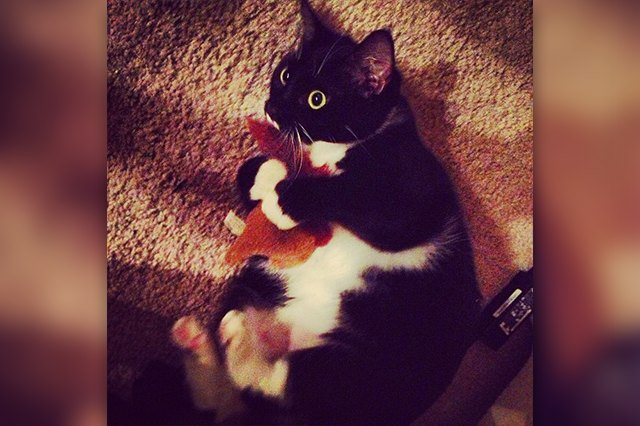 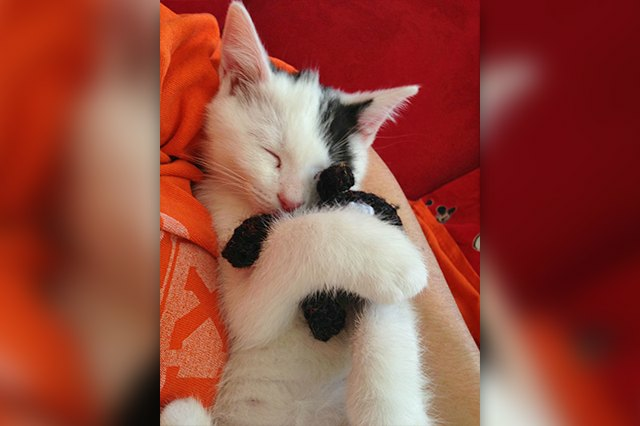 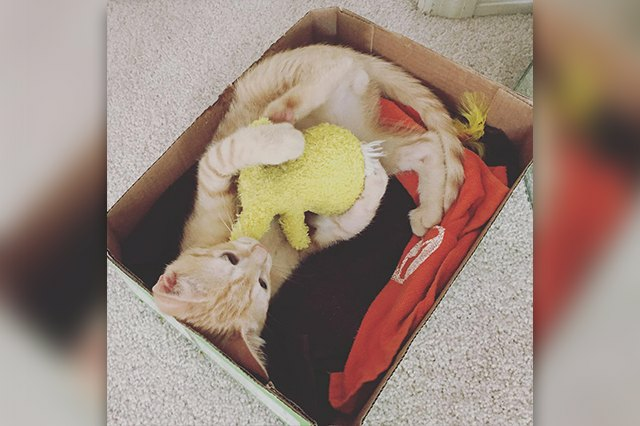 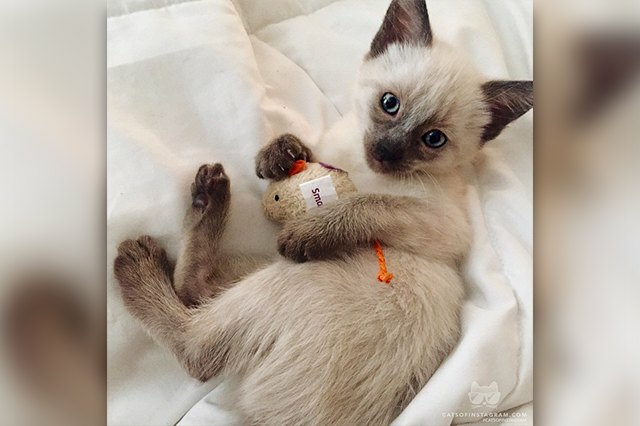 Just a cat and his stuffed animal! 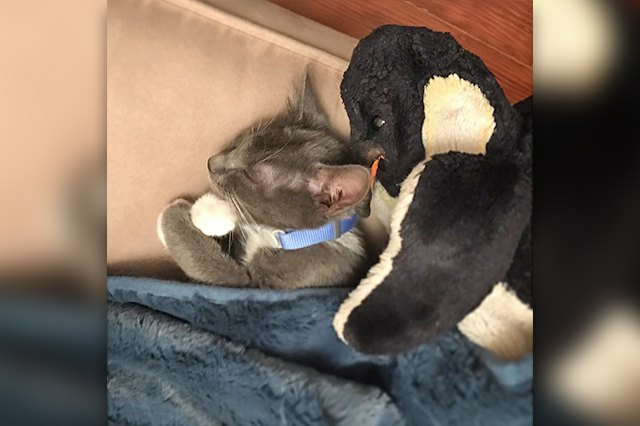 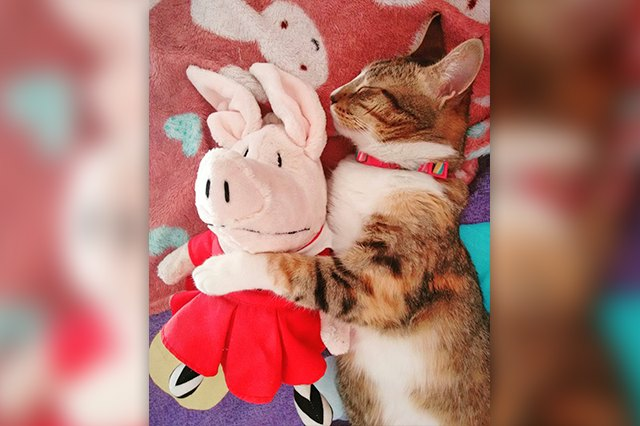 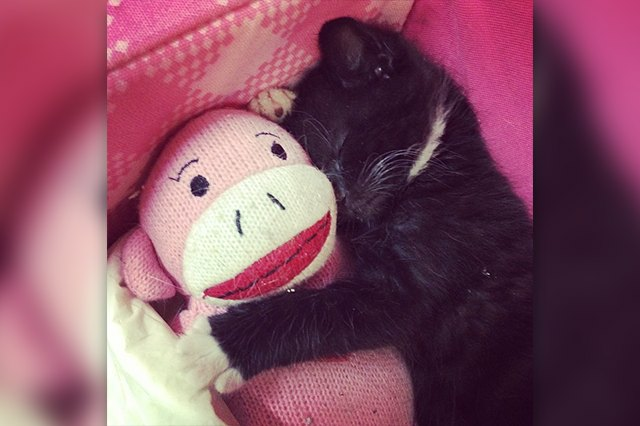 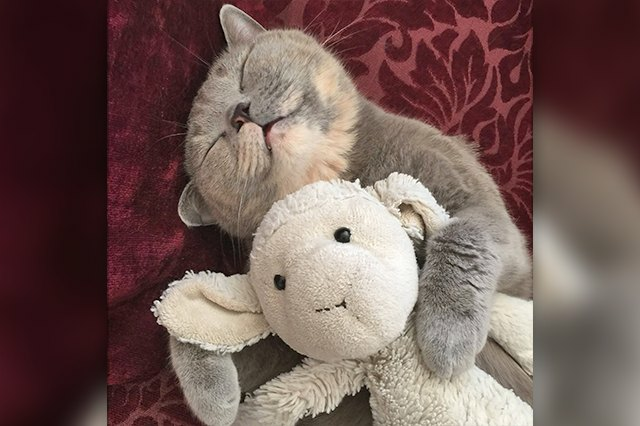 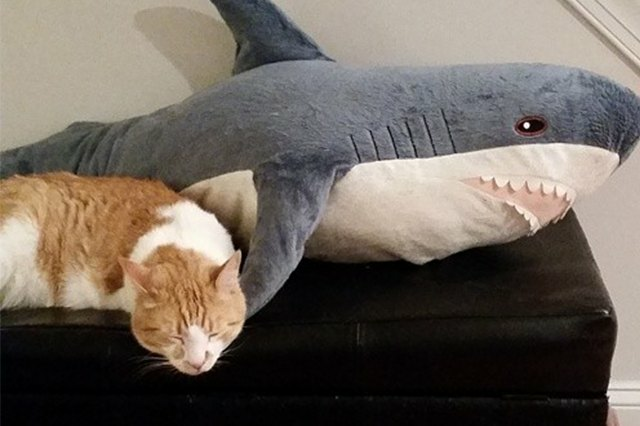 Someone fell asleep with their favorite stuffy! 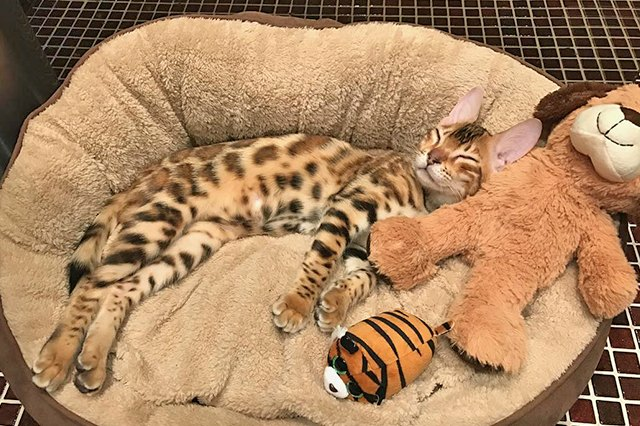 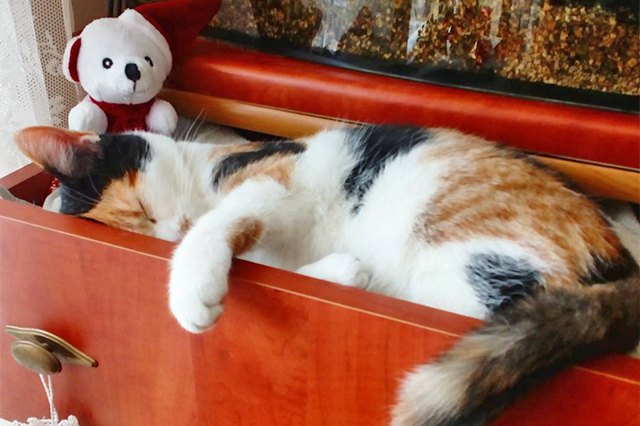 Nap time is the right time! 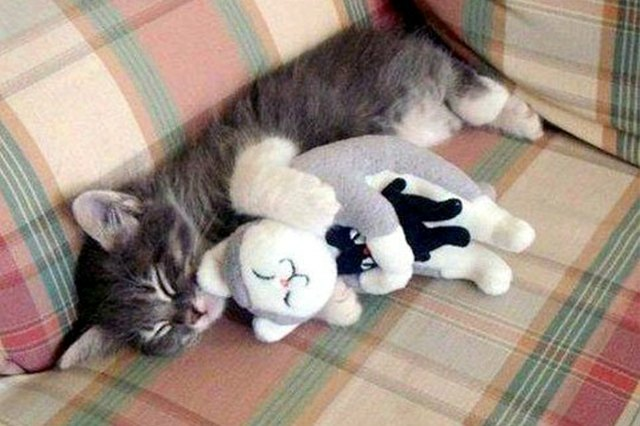 Do not disturb the snuggle.